WELCOME TO RIVER VALLEY DOODLES! We are a family Goldendoodle and Sheepadoodle puppy breeder that strives to produce and train socialized, healthy, and gorgeous doodle puppies for responsible and loving owners. *For safety & health reasons, we do not allow random visits - we have homes and significant others to think about; we are not a retail store nor a petting zoo. *We reserve the right to refuse any sale. Puppies require patience, a sense of humor, gentleness, and understanding - if these are not traits that applicants display to us, we can only assume they will not have them with puppies either. PLEASE READ OUR WEBSITE & READ BOOKS TO LEARN BEFORE COMMITTING TO GETTING A PUPPY! We can sometimes help deliver. We have traveled to NYC, Albany, CT, NJ, Boston, PA, FL. Want a Goldendoodle or Sheepadoodle puppy that has been raised with a lot of care and attention? Heard of the puppy mills that can't keep up with the cleaning and socializing of their hundreds of dogs and puppies? We are an in-home Goldendoodle and Sheepadoodle puppy breeder extended family that spends hours and hours a day cleaning, playing with, and teaching our puppies. Our whole family helps out - grandma, moms, sisters, nieces, cousins, and we also hire help because we want the best of care! This makes all the difference in getting a puppy that adjusts quickly to you and your family's lifestyle. We are very attached to our Doodle puppies - we know them all - their personalities, their habits, and their favorite spot to be rubbed or scratched. We help you pick out a puppy that best fits your wants and needs; if you're not happy, the puppy isn't happy and neither are we, so we offer to help rehome. PLEASE keep in mind that Doodle puppies are usually high energy and need lots of exercise and time! If you are not an active family, or if you are living in an apartment, you should consider whether a Doodle is the right fit for you and your lifestyle. We prefer owners that are active, take their dog places, and have a support system set up (dog trainer, dog sitter, dog walker, vet, friendly neighbors, access to playing with other dogs/puppies). Goldendoodle and Sheepadoodle Puppies For Sale - range in price from $2,000 to $3,500 + NYS sales tax where applicable. We offer a 2 year health guarantee against hereditary issues without nonsense strings attached, and we are available for guidance after you take your Goldendoodle or Sheepadoodle home. Puppies come with toys, a towel, first shots, some food and treats, and health guarantee. 2. Email us an application - tell us a bit about yourself please! 3. Submit a non-refundable deposit of $500 to reserve your place in line for one of our available Goldendoodle or Sheepadoodle Puppies. Email us at: RiverValleyDoodles@gmail.com 'Like' our Facebook Page – River Valley Doodles. 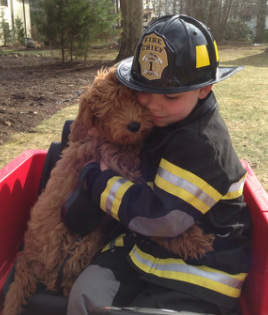 Our Doodle puppies are with their forever homes in NY, NYC, NJ, PA, NH, MA, ME, CT, FL. Many of our puppies are in Manhattan, Long Island, Boston, and northern NJ - we also have a few in FL and some in Nantucket. Most go to NYC, NJ, Long Island, Boston, and CT.
We take great pride in our puppies, and we're pretty proud of the matches we've made so far! See the stories of our puppy owners and you will know the level of care and thought that we put behind our placements. 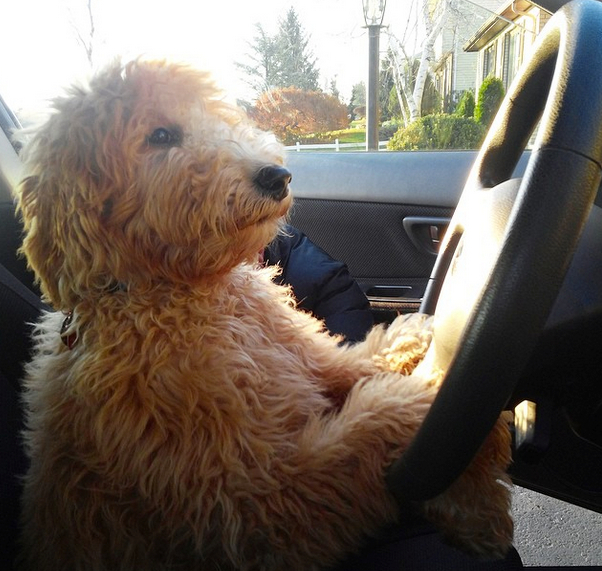 River Valley Doodles, is a small, in home, family Goldendoodle and Sheepadoodle puppy breeder that is dedicated to providing great doodle puppies for loving families. Although we are breeders, our Doodles are our pets first. They have a spot on the couch, fun car rides and adventures, and lots of treats and toys. 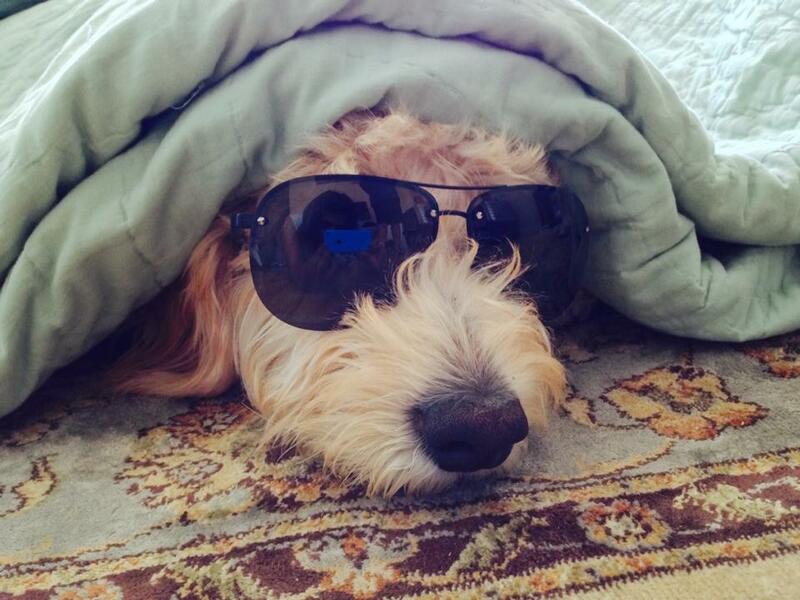 We’ve had dogs in our family since any of us can remember, and since meeting Doodles, we’ve become avid fans of them!